The nose is a complicated feature comprised of cartilage, bone and skin. As such, altering it through rhinoplasty is one of the most complicated of all facial plastic surgeries. The procedure differs from patient to patient due to these factors as well as how thick the skin is, the patient’s ethnicity, whether the patient had previous nose surgeries and a variety of other factors. 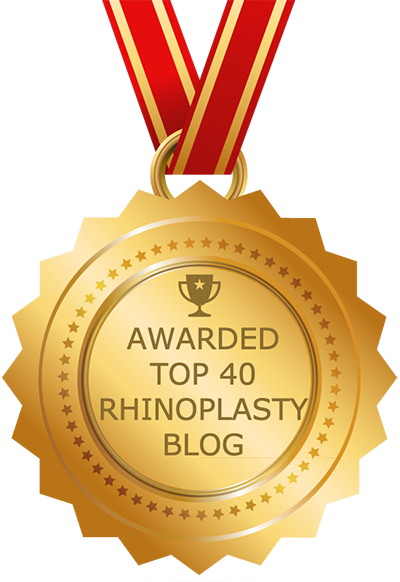 Because rhinoplasty is such a complicated procedure, mistakes are common, especially when performed by an inexperienced surgeon. When surgical errors do occur, a patient may need to undergo a second procedure called revision rhinoplasty. This procedure is even more complex than primary rhinoplasty because the skin and structures of the nose may be compromised or lacking, and there may be scar tissue that is difficult to work with. However, by doing your research, locating a qualified facial plastic surgeon and taking the right precautions, you can improve your odds of attaining a positive result. These issues can stem from deformities caused by surgical mistakes or other concerns. Here is an explanation of some of these issues and how they are addressed during revision rhinoplasty. Inverted V deformity. An inverted V deformity leaves a v-shaped shadow around the middle vault of the nose. It usually occurs as a result of over-resection of the upper lateral cartilages (the cartilages that form the sides of the nasal bridge). This type of deformity can sometimes be addressed temporarily with injectable fillers, but this approach can be problematic and, again, is only temporary. Surgery, on the other hand, can fix the problem permanently through placement of a dorsal cartilage above the bridge, which has the effect of narrowing the nose and widening the middle nasal vault. Hanging columella. The columella is the strip of skin separating the nostrils. A hanging columella is one that hangs lower than it is supposed to such that too much nostril is visible from the profile. Some people are born with a hanging columella while others experience it as a result of mistakes made in a primary rhinoplasty procedure. Treatment for a hanging columella depends on the cause but usually involves removal of tissue and/or cartilage. Saddle Nose Deformity. This type of deformity is named for the saddle-like appearance it gives the area surrounding the septum. Also known as a scooped nose, it is usually caused by some sort of trauma that reduces the septum, or by excessive reduction of the septum during a primary rhinoplasty procedure. To correct the deformity, the surgeon builds up the septum with cartilage grafts. External Nasal Valve Collapse. A collapse in the external nasal valve occurs as a result of a weak or narrow nasal valve. As with many other issues requiring revision rhinoplasty, this collapsing usually happens due to trauma to the nose or errors made during a previous rhinoplasty procedure. An external nasal valve collapse may be treated by raising cheek tissue on the side of the nose where the collapse has occurred, or even with nasal strips. However, in many cases surgery is required. The surgery may involve grafts if the collapse stems from a weak nasal sidewall. In some cases this procedure may be combined with another procedure called septoplasty. Pinched Tip. A pinched nasal tip is just what it sounds like: a nasal tip that looks narrow or “pinched.” Some people are born with the condition but it can also be caused by over-resection of tip cartilages during a primary rhinoplasty procedure. A pinched tip is usually repaired using cartilage harvested from the ear or another area to reshape the tip. Pointy Nasal Tip. A pointy nasal tip occurs when the alar cartilages in the tip protrude too much. Some people are born with it, and it is usually more apparent in people with thin skin. To correct this deformity, the surgeon may add fascia to the tip using endonasal incisions or an open approach (with incisions in the columella), depending on the patient’s needs. In addition, cartilage may be trimmed. This is among the most daunting of rhinoplasty procedures and therefore requires the skill of a talented rhinoplasty surgeon. Open Roof Deformity. An open roof deformity is a traumatic deformity characterized by a gap formed when too much bone is removed during primary rhinoplasty. As a result of this gap the nasal bones are unable to meet at the top of the nose, which makes the nose appear wider. In addition, nasal skin usually droops into the space and vertical lines or depressions are visible. Open roof deformities typically occur when a nasal bump is being removed during primary rhinoplasty. Why Is Revision Rhinoplasty the Best Solution? In the hands of a well-trained and experienced specialist, revision rhinoplastyhas the potential to resolve your concerns about the results of your primary procedure. Usually, it is advisable to wait a year before having your revision procedure, until the results of the first procedure have taken hold. The results of your revision rhinoplasty will depend on a number of factors, such as what was done during your primary rhinoplasty procedure(s) and on issues relating to your specific physiology. The outcome will also depend on the integrity of your nasal skin; in some cases, it is impossible to attain a positive result because the skin is too thin. Results also depend on how much cartilage was removed during the primary procedure, whether or not you need grafts, the degree of scar tissue, the extent of the deformities and other factors. There are a number of things you can do to prepare for revision rhinoplasty. First and foremost, you should educate yourself on the procedure and what it can and cannot accomplish. Also read about the potential risks as well as recovery. If you smoke, you will need to stop well in advance of the procedure. Smokers are not good candidates for plastic surgery. Make sure to closely follow your surgeon’s preoperative instructions. Before going to your initial consultation, collect any prescription medications you take as well as over-the-counter products, vitamins and any other supplements you take. You will need to show all of these to your surgeon to avoid any potential problems. It is also important that you purchase anything you will need during your recovery, and arrange for someone to help you after the surgery. Each patient heals differently, but you can expect some swelling and possibly nausea. You also may feel stuffed up, but it is important that you avoid blowing your nose. For the first few days you will need to keep your head elevated and still.Cold compresses can bring down the swelling and pain medications may be prescribed to control any discomfort. Your doctor also may advise you to use an herbal remedy called arnica montana. It will take a couple of weeks for the swelling to subside, and it will be several weeks before you can return to rigorous activity. You will need to avoid wearing glasses during this time and will need to avoid contact sports at all costs for a matter of months, if not longer.